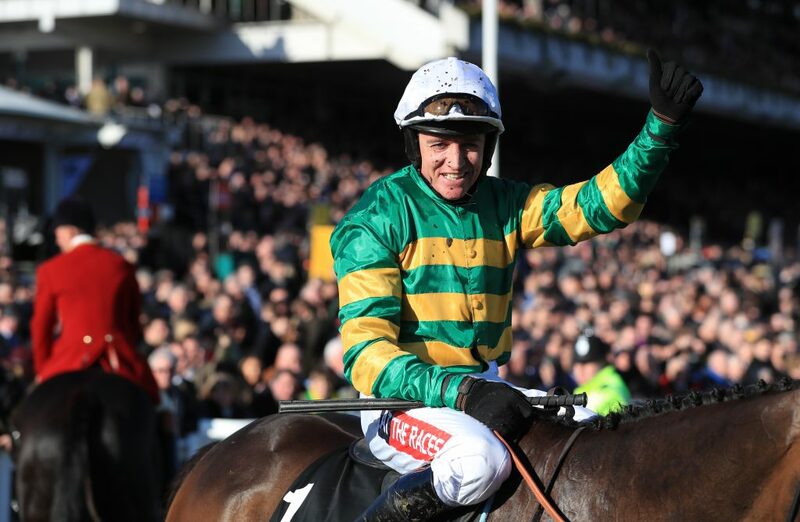 When JP McManus trusted trainer Nicky Henderson with the guidance of his French-bred gelding Buveur D’Air, he knew the potential star was in safe hands but it’s unlikely the pair could have imagined just how good he’d turn out to be. Following victory at the Cheltenham Festival in the Champion Hurdle, Buveur D’Air extended his career stats to 12 wins and two placed efforts from 15 runs since making his debut back in February of 2015. He was runner-up behind Barters Hill around Newbury in a bumper on that occasion and has done nothing but improve since. Despite an already impressive CV and glittering trophy cabinet, many shrewd heads in the game predict there’s plenty of progress still to come from this seven-year-old and we should see him continue to come on throughout the year. Is he the best French-bred horse we’ve ever seen on these shores? Not many would argue that point. Here’s three races that strengthen his claims. What better place to start than with what we consider to be a personal best to date from Buveur D’Air. He was well supported in the ante-post markets for a number of Cheltenham Festival races in the run up but the decision makers opted for the Champion Hurdle and he went to post a nailed on 4/6 favourite. Priced like losing wasn’t an option, backers weren’t to be disappointed with the stunning bay timing his assault on the leaders to perfection under the ride of Barry Geraghty. Approaching two out, he eased to the front before putting the bite on most of the field but couldn’t seem to shake off plucky underdog Melon who hadn’t read the script. The fact we saw bags of bottle and a real will to win from Buveur D’Air impressed us most in this contest and there was no doubt he knew exactly what he was doing when driven to the line, finding that little extra and sticking his head in front – a neck the winning distance. Talent is enough to win the majority of races around the UK and Ireland but it takes more to claim a Festival win and we saw just what the French horse’s character was about when demonstrating a never-say-die approach. Speaking to the media post-race, Henderson credited both horses but was thoroughly impressed by the way his charge answered the call from the pilot and kept finding. We go back in time to find his first real career victory of note and the one which forced dedicated backers of the form to sit up and take note. 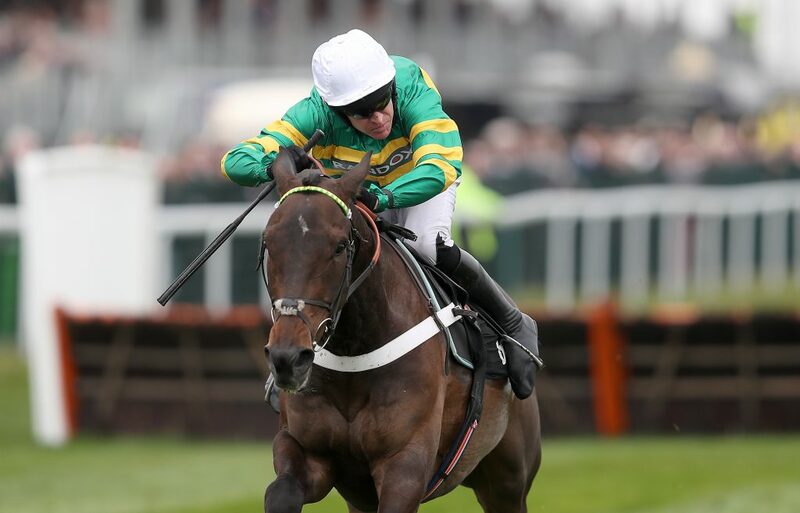 After a patchy start to his career on track, Buveur D’Air was tested against grade one company in the First In The Frame Top Novices’ Hurdle at Aintree over two miles and he showed his true ability. Going off an 11/4 shot in a market led by 11/10 favourite Limini, Noel Fehily sat in the saddle that day and did his bit to beat runner-up Petit Mouchoir by a neck, with Limini a full eight lengths behind. Once again we saw Buveur D’Air’s love for a scrap as he was held up in the rear before laying his cards on the table, four out. Nicking ahead at the last, he flared his nostrils and proudly stayed on to nick an upset result, a superb turn of foot seeing him lead when it mattered most. Willie Mullins’ silver medallist went off at 40/1 that day and odds compilers have afforded him much more respect since going down a neck in that race. Odds compilers had already caught on to what a talented horse we had on our hands by this stage so there was no surprise to see Buveur D’Air go into the Aintree Hurdle as an odds-on favourite. Again, traders thought he was there to win the race and they were spot on as the jolly destroyed a star-studded field including the likes of My Tent Or Yours, The New One and Identity Thief. This was a far more comfortable outing than the two mentioned previously, with stablemate My Tent Or Yours stumbling home five lengths behind under the ride of Aidan Coleman before Team Twiston-Davies got The New One a bronze medal, another 1 ½ off the pace. Buveur D’Air again left his challenge late when waiting until the last jump to move into pole, and he was seen running away from them at the post after a bit of encouragement from Geraghty. He really is a speedster that’s happy to go through the gears when he needs too. What does the future hold for Buveur D’Air? Plenty more winners it would appear and he is well quoted in the ante-post markets of some of the calendar’s biggest races including being odds-on favourite for another Aintree Hurdle crown and the jolly for next year’s Champion Hurdle at Cheltenham. We’d love to see him go up against Melon again at Prestbury Park, given how exciting the 2017 battle was. Shortly after the result was weighted in, traders had Buveur D’Air at 7/2 for a repeat, against the 5/1 on Melon’s revenge.